Antislip Plus Smooth from Marley was supplied for a next generation shopping and leisure park in Northamptonshire. 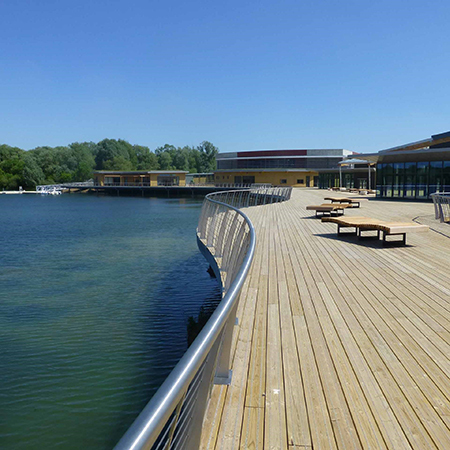 Rushden Lakes, at Nene Valley in Northamptonshire offers over 400,000 sq.ft of new retail and restaurant accommodation, together with leisure activities which are all set against the backdrop of a lake. Marley Antislip Plus uses a unique formula of resin-based aggregate inserts, which are injected into the deck board grooves. For the smooth boards required by this project, grooves are specially machined into the boards to receive the inserts. 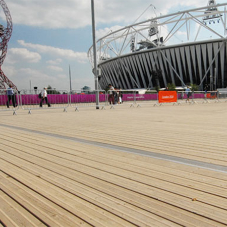 They are treated to either Use Class 3 (MicroPro®) or Use Class 4 (Naturewood®) to protect the decking and suit the project requirements.